Here we write some random thoughts and articles about software development: Java, Grails, Node.js, iPhone, iPad and more. Clojure's transducers represent an elegant and high-efficient way to transform data. JS implementation fared well, so I decided to try implementing them in Swift as well. I doubt anyone would find it nice. Performance is even bigger problem for now. Currently it is anything but ready for production use. As tested on Xcode Version 6.1.1 (6A2008a), it is at least 100x worse than standard map / filter chain. See transducers implementation in this GitHub repo. We’ve been long developing iOS apps for various clients and now finally released something own in the AppStore. It’s a coloring book for children, dedicated to Halloween theme. 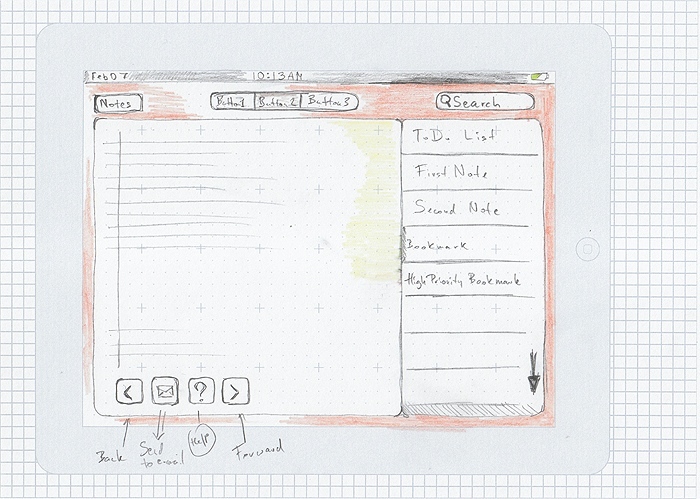 Sketchbook sheets have the layout of iPad in actual size printed on the front. iPad screen is covered with grid which allows to lay out interface elements conveniently. On the back sheets are just covered with simple square grid for comments, various thoughts, design of individual elements, etc.